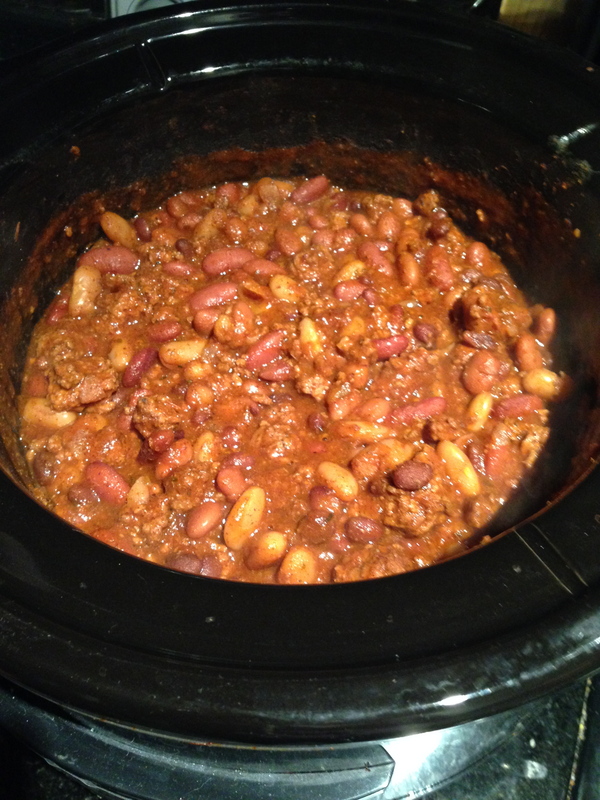 Chili is a staple when it turns into autumn. 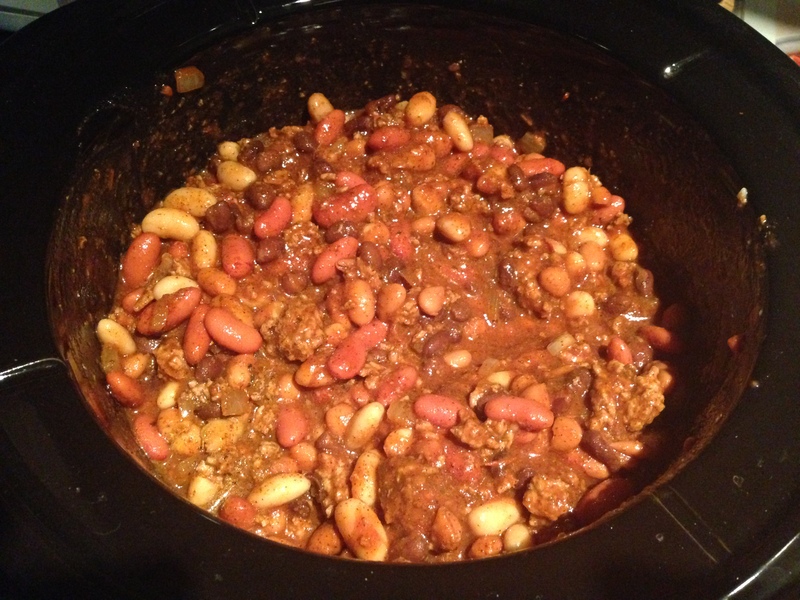 It keeps you warm and full and is totally a comfort food. It is also ideal for feeding a crowd, as I did this weekend when BF’s brother was in town and brought a full appetite. 1. 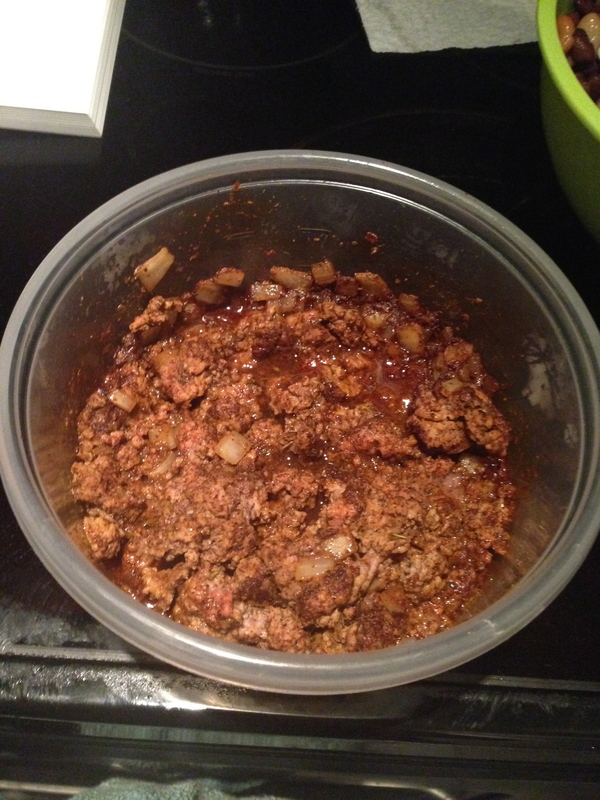 Microwave broken up ground beef, onions, chili powder, oregano, salt and pepper for 10 minutes on 50% power. Try to make sure that most of the beef is no longer pink. 2. 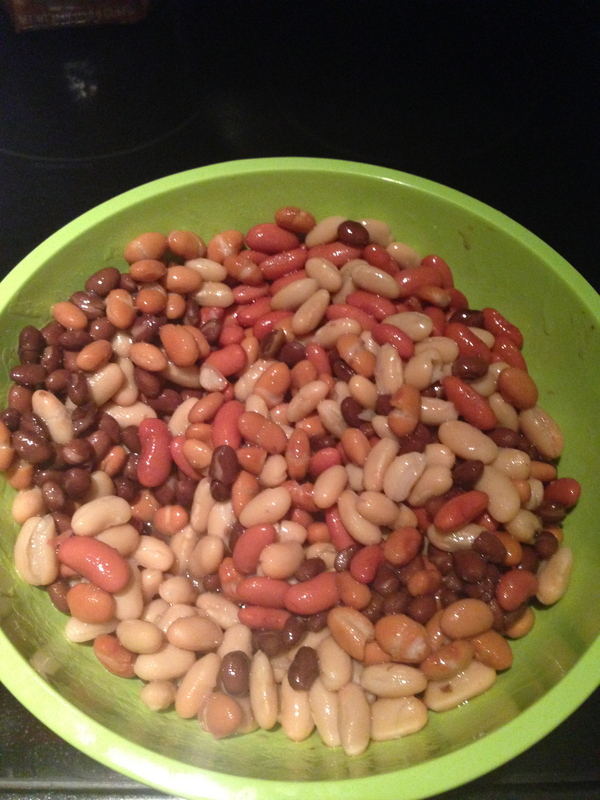 Stir all cans of beans together in a medium bowl. 3. 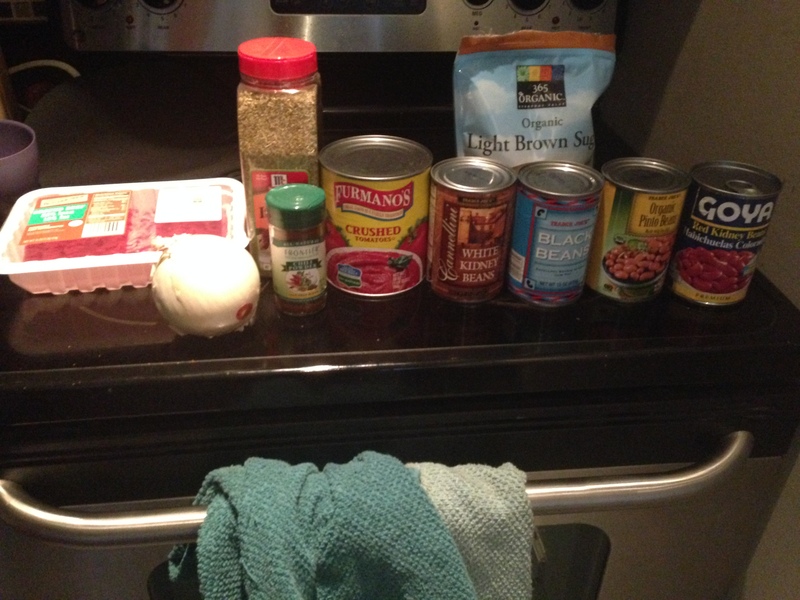 Transfer meat mixture to slow cooker, breaking up any large pieces of beef. Stir in beans, tomatoes, and brown sugar. 4. Cover and cook on low for 6 1/2-7 hours. 5. 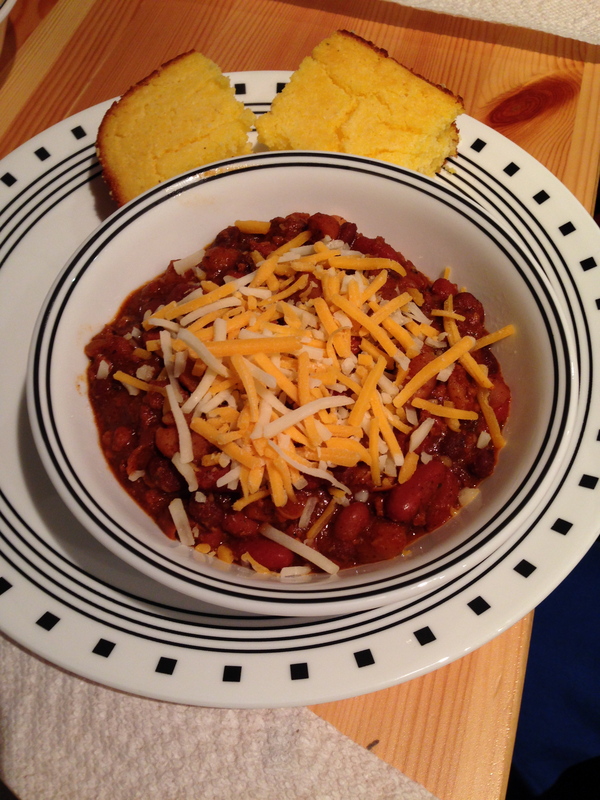 Enjoy with some delicious cornbread and your favorite chili toppings! 2. 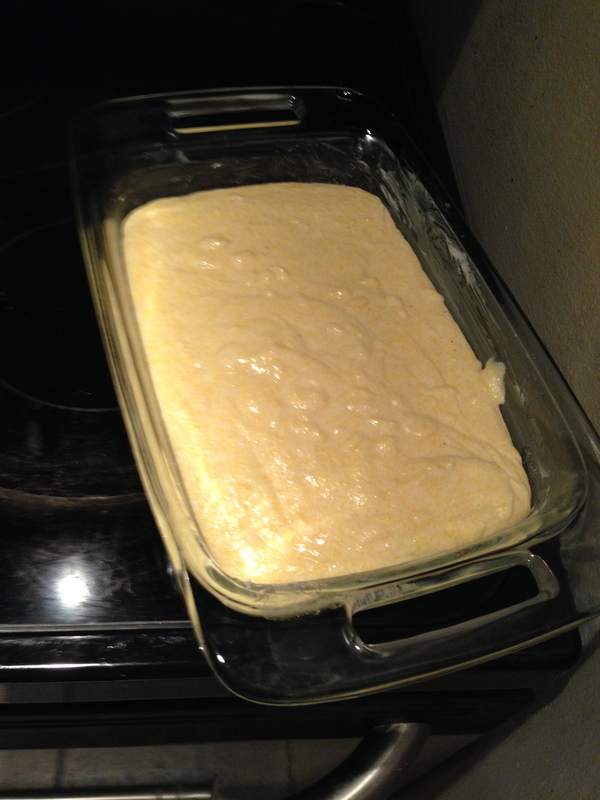 Combine bread mix and sugar in medium bowl. 3. 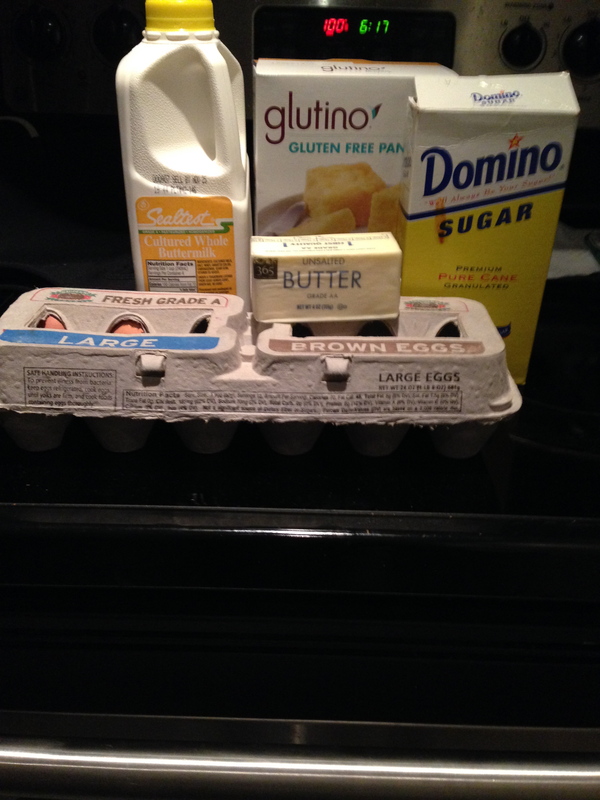 Pour in wet ingredients and mix to create a batter-like consistency. 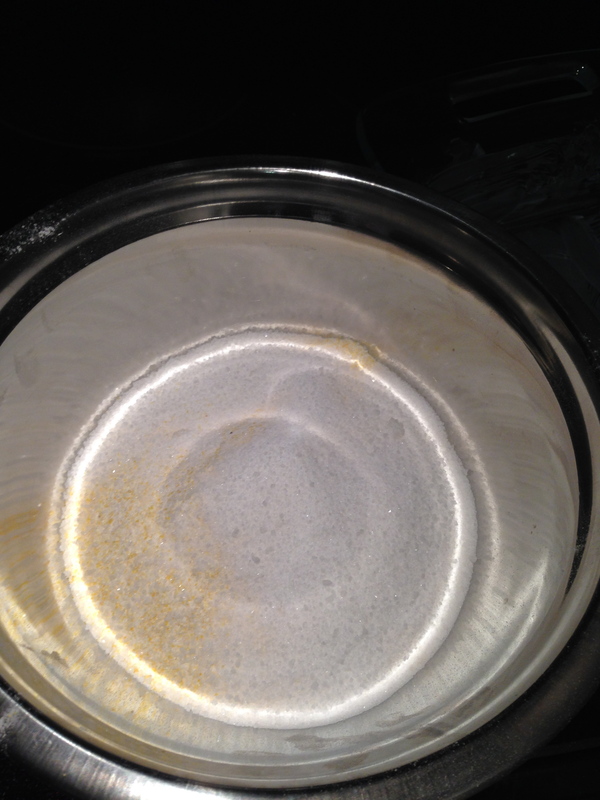 Pour batter into a baking dish that has been sprayed with the non-stick cooking spray. (You can also use leftover butter instead of cooking spray if you’d like). 4. 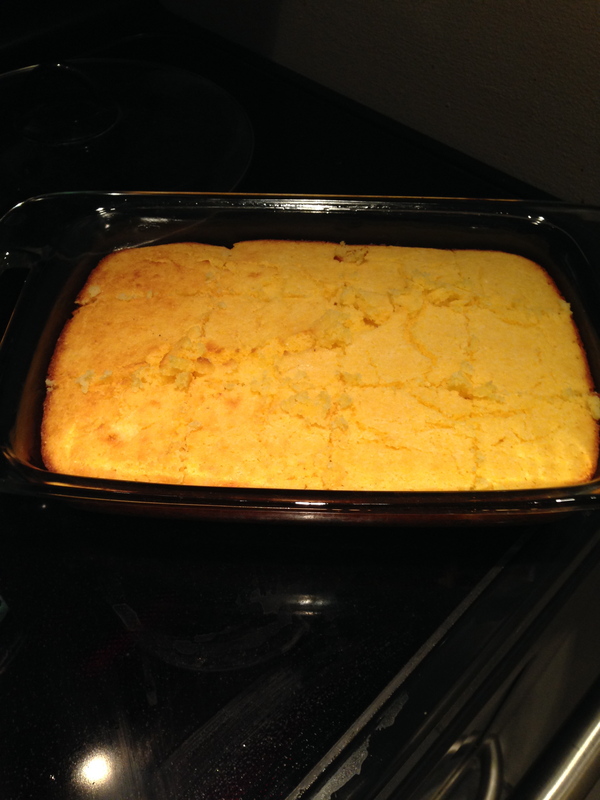 Bake for 20-25 minutes or until the top and sides get crispy. This was a great recipe to come home to. The apartment smelled amazing! And it was a crowd pleaser, especially with two hungry gents. The microwave trick that ATC suggested was a wonder. Often, people brown the beef in a pan before throwing it in the crock pot. I thought this worked much better and saved me a pan to wash.
You can use however many cans of beans you want. I chose four because I had them in my cabinet. The original recipe calls for three. Your choice.